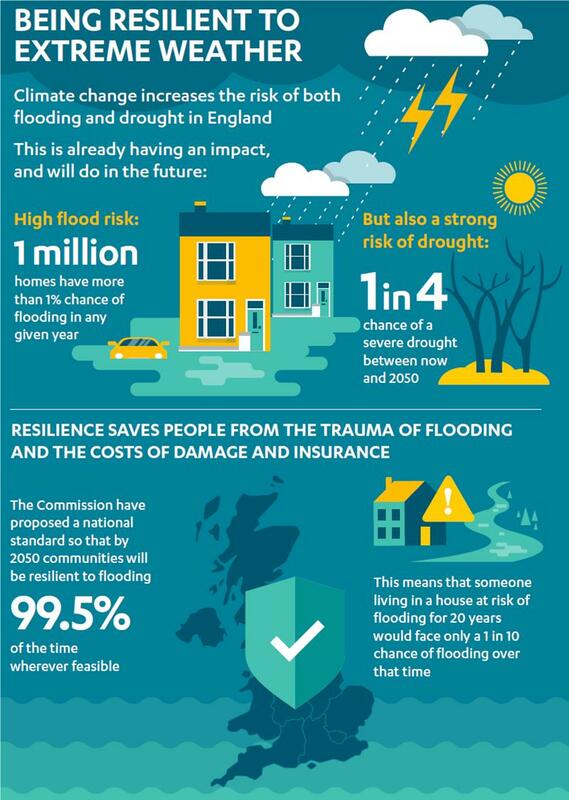 The publication of the UK’s first National Infrastructure Assessment (NIA) includes demanding recommendations in relation to flood risk management (and calls for approaches that 'join up flood and drought management'). The NIA recommends the development of a national flood risk management strategy that reinforces catchment and coastal cell-based approaches and focuses on delivering long-term flood resilience through a combination of measures (including green and conventional infrastructure and better spatial planning and development control). Perhaps most importantly, the report recognises that a healthy freshwater environment is important for water supply and flood management as well as for biodiversity and reinforces the need to consider the range of interactions between water, people and the environment. Planning authorities are also singled out to do more to ensure that from 2019 all new development is resilient for its lifetime. Improved standards of protection in major urban areas are also called for. ​Sayers and Partners (SPL), working in collaboration with JBA, developed the model that forms the basis of the flood risk and investment analysis in the NIA – providing the NIA staff the ability to self-explore future flood risks and the cost of alternative investment strategies. More information on the model, the Future Flood Explorer (FFE, initially developed by Sayers et al in support of the UK Climate Change Risk Assessment) can be found in the Analysis Report (link below).